For more detailed descriptions, please refer to the individual DVD product pages by clicking on the linked titles above. Individual sessions are also available as on-demand video. 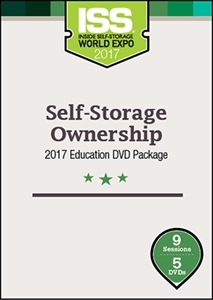 In DVD format, these sessions are also included as part of the Total Self-Storage Solutions 2017 Education DVD Package and the Self-Storage Operator Essentials 2017 DVD Package.